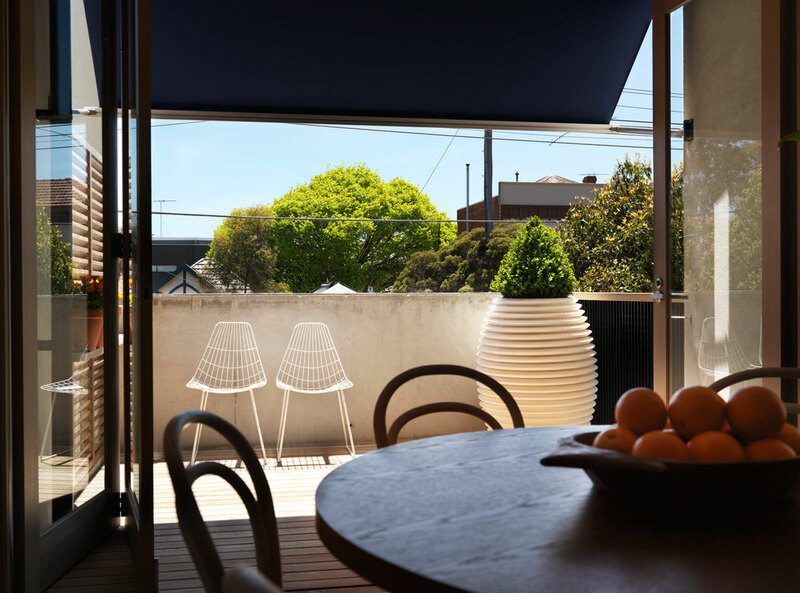 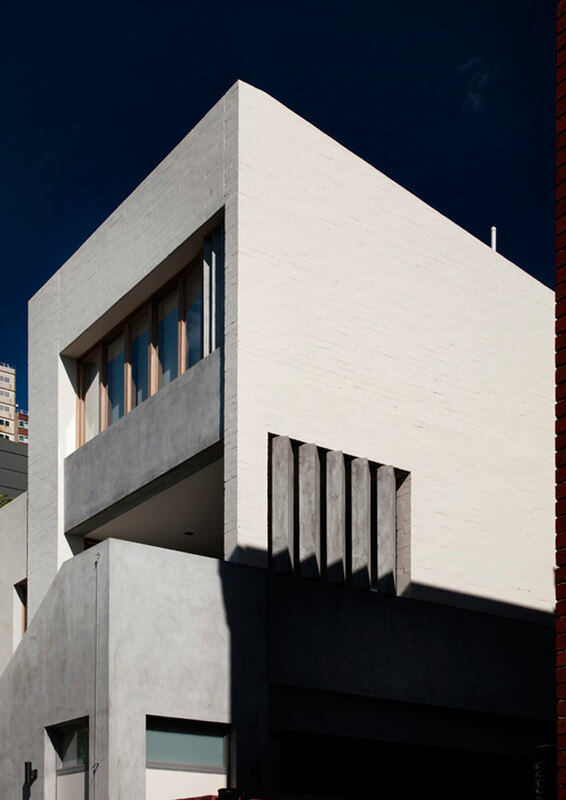 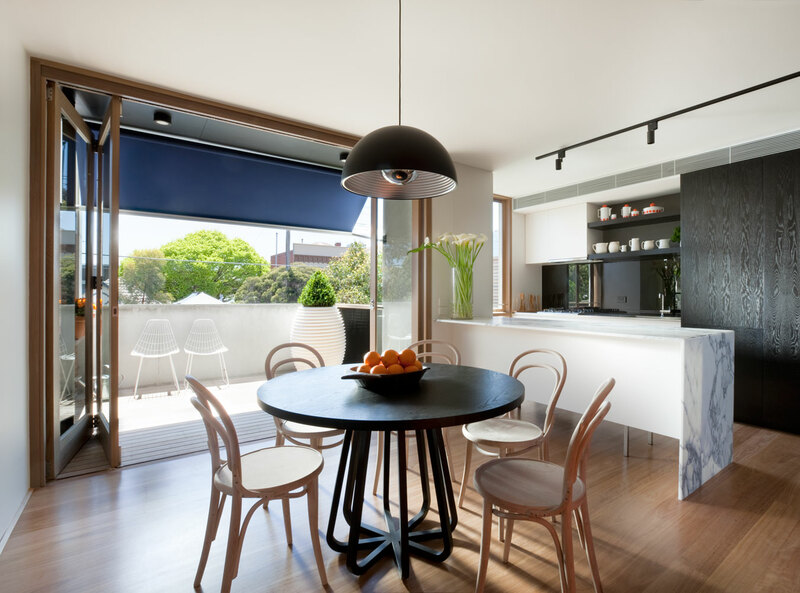 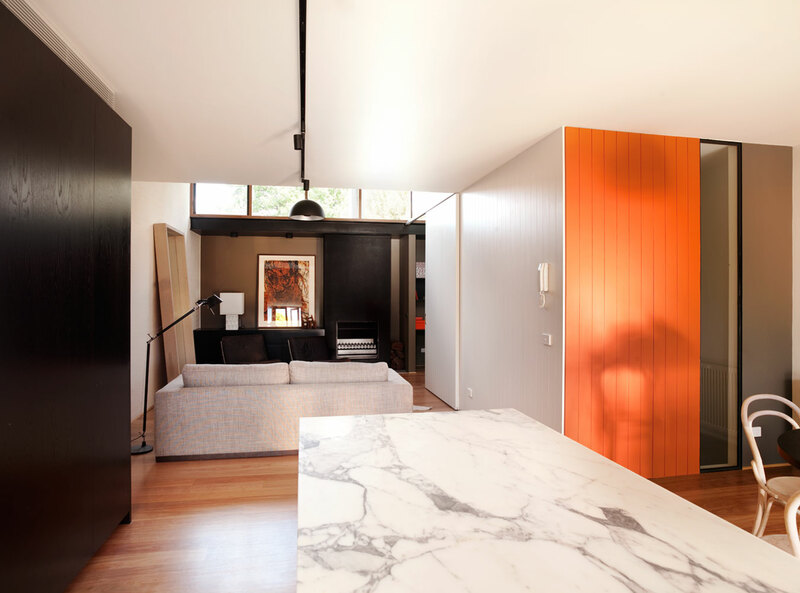 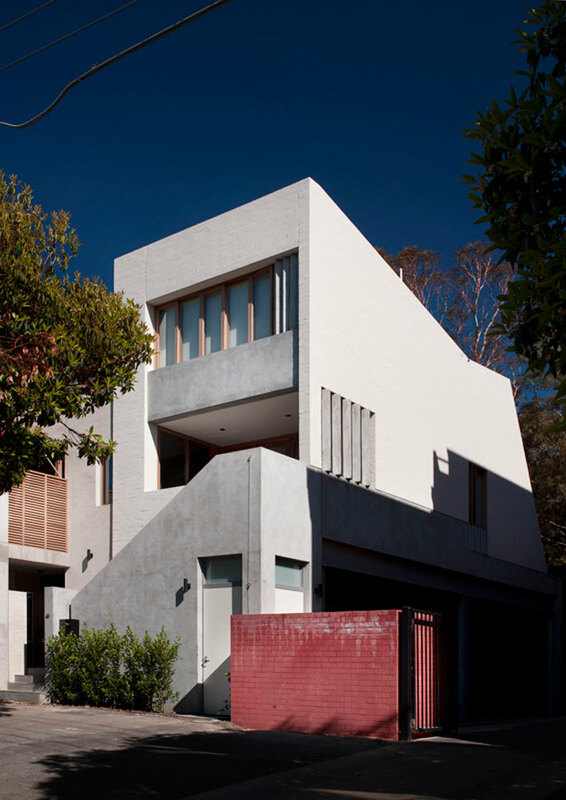 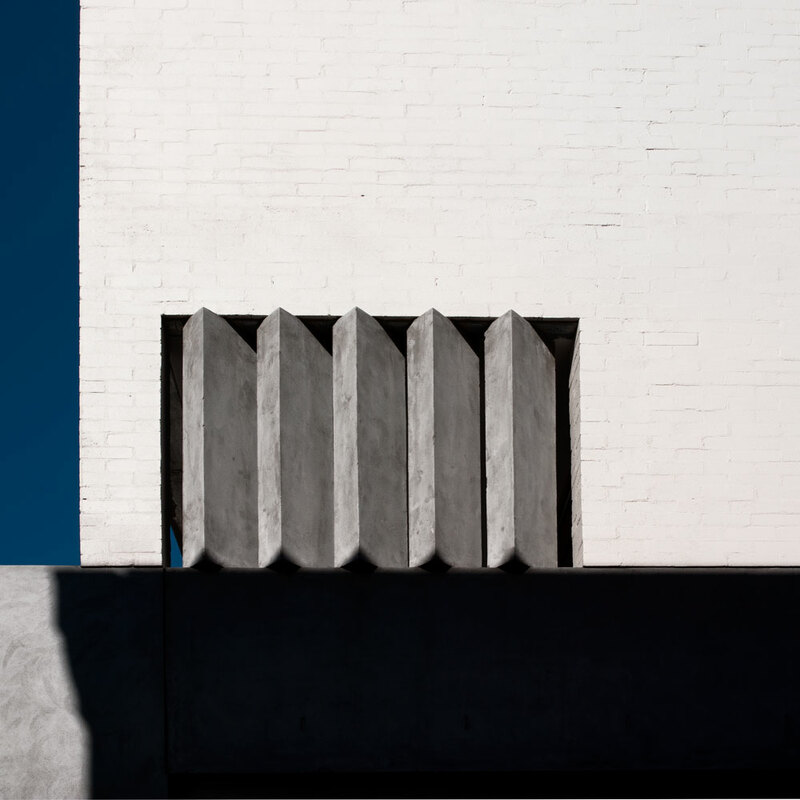 Built as the second stage extension to a heritage listed hall, this compact three storey townhouse, one apartment and shared garage project provides an alternative contemporary housing option in an area typified by existing terrace houses. 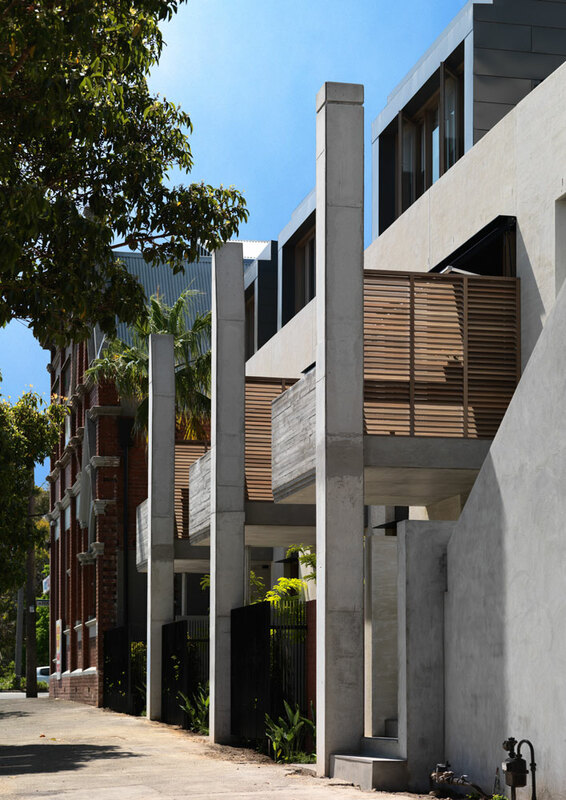 The townhouses are unified behind a rendered façade, and set back to give precedence to the original hall while still providing opportunities for rich landscaping to enliven the street interface. 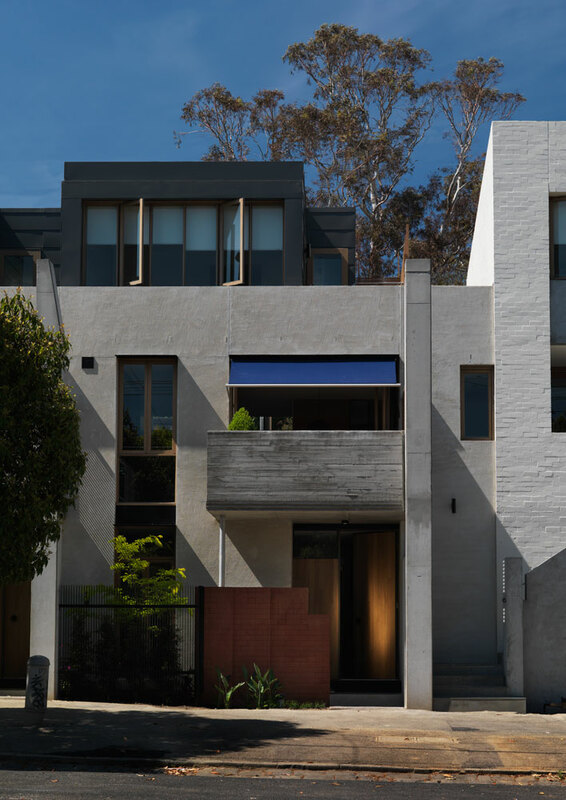 An individual roof-like third storey, as a contemporary reinterpretation of a traditional dormer window, caps each townhouse.